Equinet Academy is back with our yearly Digital Marketing Sharing and Networking Session for the third year running on 6th December 2018, 6.30pm – 9.30pm. Check out last years’ events – Session I (2016) and Session II (2017). This year’s session will feature 2 keynote presentations + Q&A session by our panel of industry professionals as they share valuable insights on Search Engine Optimisation and Content Marketing. Gain actionable takeaways from the sessions and get to mingle with the speakers and other like-minded professionals. Refer to the programme details below for more information. Secure Your Seats Below. Seats Are Limited! We are full house. Please check back on the events page for future digital marketing events! 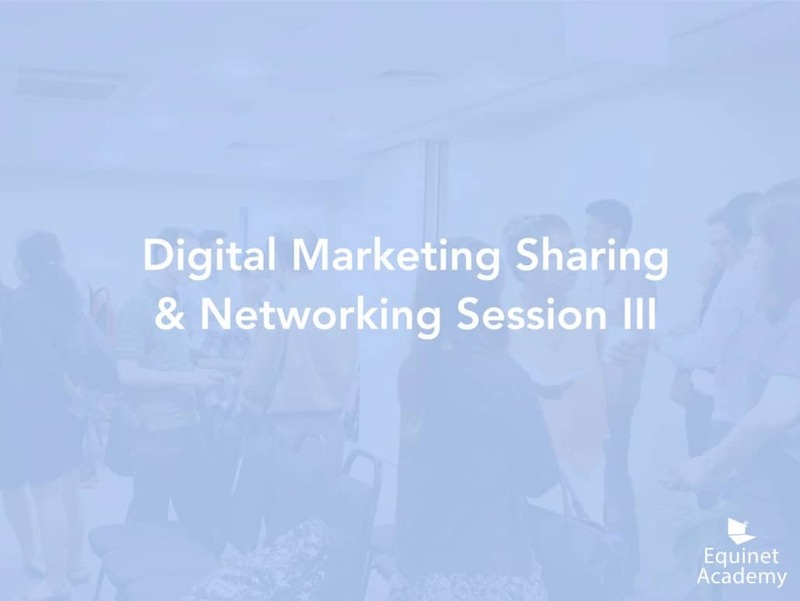 Thank you for taking the time to attend our Digital Marketing Sharing and Networking Session III on 6th December 2018. We hope that you gained actionable takeaways and industry relevant insights from our panel of industry experts. Equinet Academy has an exciting 2019 calender of events coming up so be sure to keep a lookout for it! If you would like to learn more about Digital Marketing, check out our digital marketing courses. If you would like to be kept updated on future events and workshops, do subscribe to our mailing list in the form below. Never Miss an Event. Stay Notified! Sign up for our event invitations notification list and stay notified of any digital marketing events in Singapore.